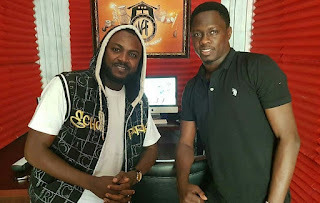 Kannywood film industry faces an existential threat from many fronts. 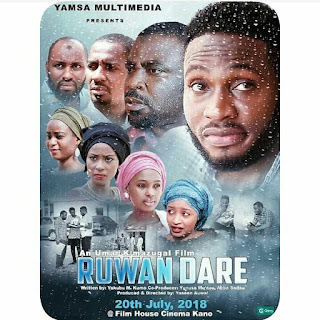 A leading Hausa film scholar, Prof. Abdullah Uba Adamu declared last year that “by 2016, the Hausa film industry had literally crashed” and, therefore, major actors in the production, marketing and distributing its films had pulled out and ventured into other more propitious businesses. His declaration was true. We are already in the middle of the year 2018. As an independent, casual promoter and reviewer of their films, however, I have yet to watch any serious movie worth reviewing. Most of the few, released films so far are poor in many respects, while the good ones are still held for fear of the market. I don’t blame them for this. 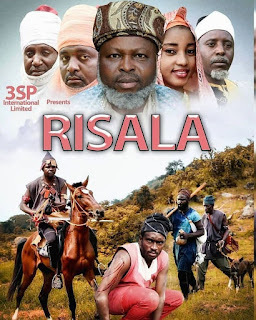 Love or hate them, the resilience of Kannywood filmmakers is what makes them survive this far, though, as mentioned above, many have already capitulated and closed shop. The reasons for this turn of the event are somewhat apparent. They include the scourge of piracy, which is abetted by the new media, the Internet (YouTube); emergence of the so-called, however, massively patronised “Indian-Hausa” films; market and megastar monopoly (i.e. the same actors and actresses in films after films) and, above all, absence of cinema and refusal to go to the very few existing ones. It’s this issue of cinema I will discuss in this short article. Since the colonial era, specifically in 1939 when the British imperial government established the Colonial Film Unit across Africa, cinema was never welcomed in several parts of northern Nigeria. In Kano, for instance, cinema was, and largely remains, a flashpoint for so much religious and cultural debate. Brian Larkin, another renown Kannywood scholar, has written extensively on this subject. He discovers that early Hausa names for cinema – majigi from magic and dodon bango meaning “evil spirit on the wall” – tells a lot about how the Hausa people received it: a form of shirk! However, the cinema tenaciously survived until the early 2000s. I, for instance, grew up associating cinema with immorality, prostitution, hooliganism and everything negative. We were told scaring stories about the purported cause of a fire accident at El-Duniya cinema in 1951 that killed hundreds. I witnessed the demolition of some cinemas and closure of others in the aftermath of Shari’ah introduction in 2000, etc. It was until during my study in India much later that I realised cinemagoing is a healthy pastime activity. My wife and I watched quite a few films there. Except for a handful persons among the attendees, the rest comes along with their whole family, including grandparents. In modern Kano, too, cinemagoing has recently resurfaced and redefined. Establishing Film House Cinema at Ado Bayero Mall aka Shoprite has opened the eyes of many people towards a realisation of cinema as a place for entertainment and fun. Unfortunately, however, Kannywood films barely make it to the big screen of the new cinema for primary two reasons. One, most of the films do not have the appropriate aspect ratio for the screen. In other words, they were mostly shot with less sophisticated cameras. Thus, their picture quality falls short of the projector’s dimension. This is in addition to the fact that the stories, too, are mostly not fitting for theatre viewing, but home. 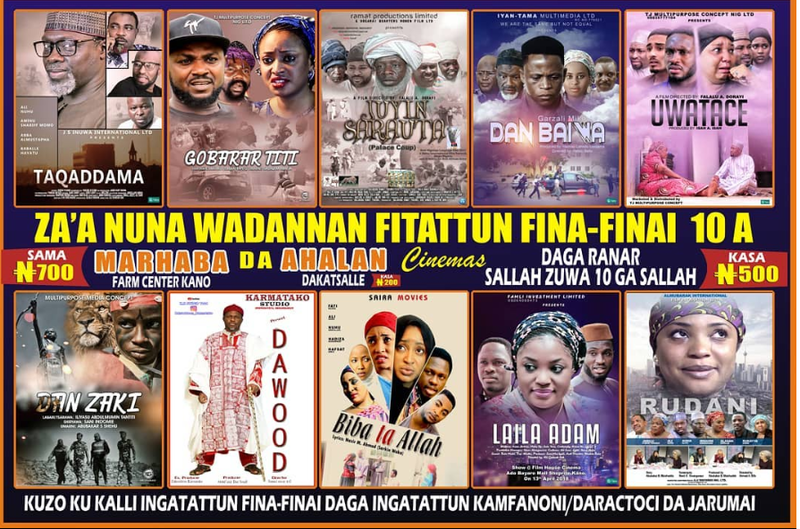 Genres like action, horror and epic that are cinemagoers’ favourites are very rare in Kannywood. Two is the unattractive deal with the cinema management. Reportedly, a filmmaker has to give half of what his movie generates. This, practically, scares the embattled filmmakers further away as the business is already risky. The courageous ones wish to recoup their money at least. Consequently, some of them release their films directly to the public, risking it all. Others show their movies for a day or two and then stop. Promising films like This is the Way, Gwaska Returns, Taqaddama are such films. It was amidst this storm the industry set up a task force committee, headed by Alhaji Hamisu Lamido Iyan-Tama, to find ways to market their films. They have come up with a brilliant initiative recently. They met and, eventually, signed a (better) deal with the owners of other cinemas like Marhaba in Kano to show selected films during this Eid festivals. Marhaba is one of the biggest and oldest in the state. However, it was locked down for nearly a decade. Not anymore. The committee has already screened and selected ten films to be shown for ten days each night from the Eid/Sallah day onwards. The police have assured peace and order during the shows. This is commendable for the future of the struggling film industry and thousands of its staff members. No film industry survives without cinema. Another novel way to profit in filmmaking is online streaming. 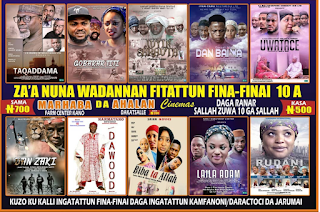 While Nollywood enjoys this with its films on Netflix, Amazon Prime Video, iROKOtv, among others, Kannywood has a long way to benefit from this technology for several reasons such as budget, lack of proper organisation and government support, among others. Therefore, the cinema remains its only means to keep its head above water. The industry’s best friends, I mean the religious clerics, should look at this development with a fair mind. Although I cannot pass any judgement on its legality, I know for sure that things will not be as it was in those days. There shall not be ruffians, whores, drug dealers and addicts, etc. around. Moreover, the state Censorship Board director, Na’abba Afakallah has been actively involved in the restoration of the defunct cinemas. Therefore, all the billed films must have passed through his board. I wish both the filmmakers and their fans a hitch-free event.